TORONTO (Reuters) -- General Motors Co. said today that it expects to close one of the two lines at its Oshawa, Ontario, assembly plant by June 1, 2013. 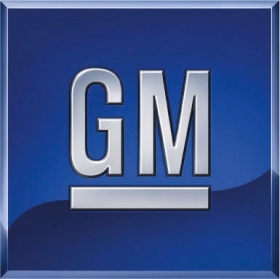 The consolidated assembly line, which employs about 2,000 workers, was originally expected to cease production in 2008, GM announced in November 2005. But production was extended due to market demand for the Chevrolet Impala and Chevrolet Equinox crossover, GM said. "It is too early to predict accurately the job impacts related to these scheduling actions which will unfold over the next year as some employees may elect to retire and others will be on indefinite layoff," GM of Canada communications director Faye Roberts said in an e-mail. The company notified Canadian Auto Workers employees today that one of three shifts on the consolidated line will be removed in the fourth quarter of 2012. A second shift will stop in the first quarter of 2013 and the consolidated line will cease entirely when production of the current generation Chevrolet Impala ends, likely in June 2013. The Oshawa plant's second assembly line, a flex line, builds the Chevrolet Camaro, Camaro Convertible, Buick Regal and Cadillac XTS. It will be a manufacturing location for the next generation Chevrolet Impala starting in 2013.